Make them really Happy this year. 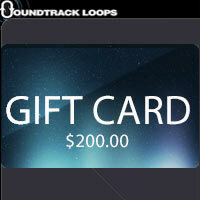 Spend $135.00 and get $200.00 worth of sounds. You’ll have have access Hundreds of Genres. Use your gift card to purchase multiple audio formats, Presets, Midi, Loop libraries, and Kits for tablets & Smartphones. So many to choose from. You’ll be a very lucky recipient. This deal Ends December 26th 2014.